Welcome to Carlson Vineyards, Colorado Bonded Winery #13. Located in Palisade, Colorado our family-owned winery is focused on producing premium wines in the heart of Colorado's wine country. Pioneers of the Colorado wine industry, we use sun-ripened local grapes and fruit grown on the high elevation slopes of the Rocky Mountains to create easy drinking, regionally distinctive wines. A visit to our winery and tasting room provides the opportunity to experience everything from our internationally awarded Riesling to our unique T-Red Lemberger to the perennial favorite sweet treat, Cherry 'n Chocolate. Come and sample some of our award-winning wines everyday Monday thru Sunday 10 am until 5:45 pm. Our enthusiastic, knowledgeable, and friendly staff and family members look forward to sharing our passion for our award-winning wines, beautiful region, and most importantly, our family, with you. 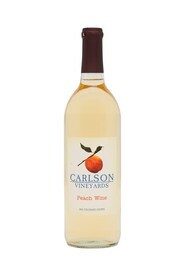 Follow us for deals and specials on your favorite Carlson Vineyards wines, just click on the icon. Cheers!